The status so far with my very Battlestar Galactica (aka BSG) centered 10×10 Challenge. 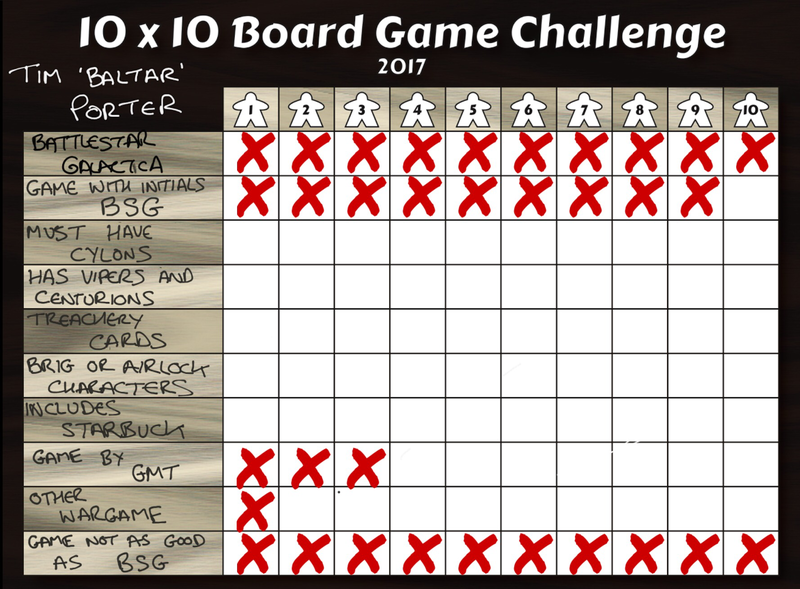 The standard 10×10 Challenge is to play 10 different games, 10 times each. My concern will be playing a further 9 wargames that are not published by GMT Games.